Here’s the Part 1 of our road trip that covers Budapest coworking spaces, in our big road-trip to discover the coworking spaces in Hungary. For the rest, please keep reading. The road to Szeged was a bit bumpy – not physically, but figuratively! We lost over two hours at the car rental due to miscommunication and our reserved car not being available. 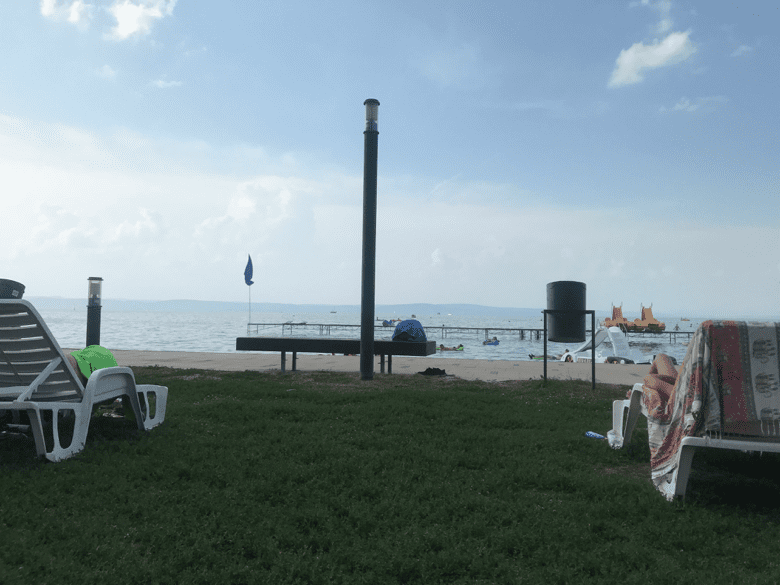 That implied a possible change in plans as we were planning to cover Szeged and Pecs, and spend the night in Siofok, but of course, that did not happen. However, we did not regret at all staying in Pecs at the end of the day! 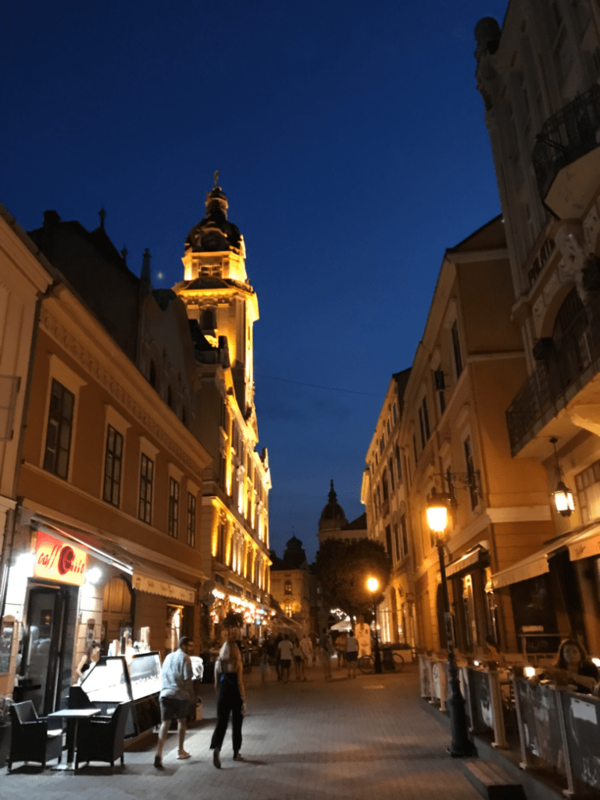 Szeged itself is the 3rd largest city of Hungary with around 150.000 inhabitants in south-eastern Hungary, and our plan was to visit the 2 coworking spaces in town. Kapca was opened by three brothers, who wanted to leverage their existing space for something else, for something cool. Hence Kapca was born, but their main business stayed as hospitality with the cafe, and the wedding space. 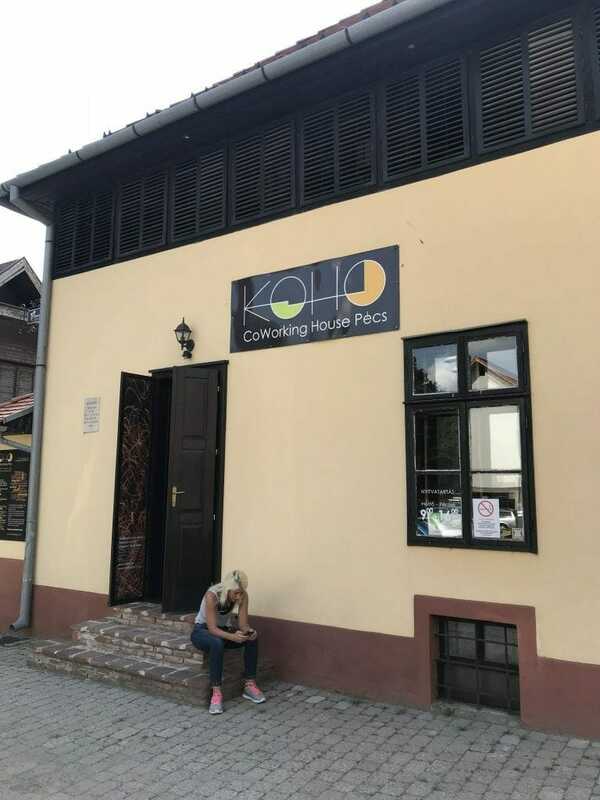 Kapca Coworking Space, aka Közössegi Iroda, is indeed a combo of a coworking space, a bistro, a craft beer garden, a workshop area, a wedding space and a few other things. And it was so cosy! They have desks for 8 people only, and are leveraging the bigger venue they have. It is completely fine and possible to work from their bistro or from their beautiful garden too. 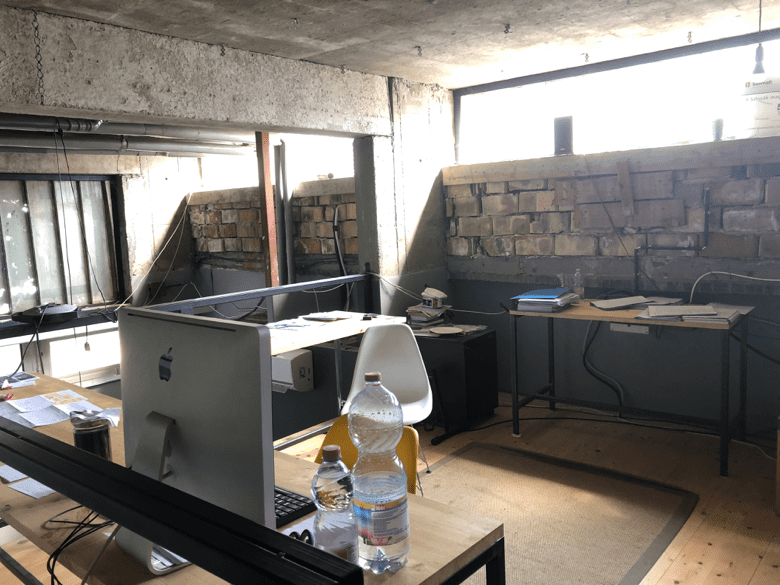 The space has a very welcoming feel to it, and is indeed the first and only coworking space in Szeged (until Door opens its doors soon in September). A daily pass would cost you around 9 euros, and a monthly pass 20.000 HUF, less than 80 euros. FUN FACT: Kapca means a foot-wear that is like socks, for soldiers. Where Kapca is currently today, used to be a gathering place for soldiers, hence the name Kapca. The cafe has opened 5 years ago. They are said to be serving the best burger in town. Door is opening their space with 120 sqm in September, and plan to double it to 240 sqm in a year. They are targeting the people who need a quality office space. They already managed to create a good buzz and demand. Despite their planned opening in September, they put together a small room as an MVP to address the early demand! They are in the premises of the “Lady of Snow” temple, and the monastery. 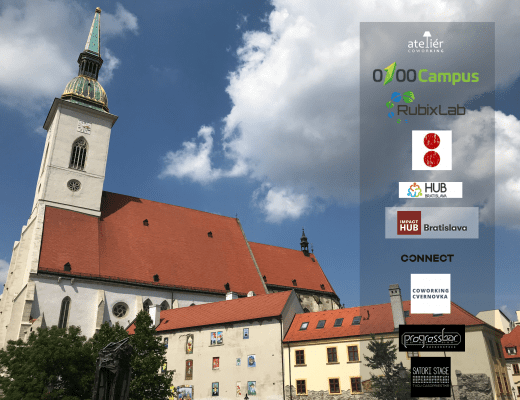 Door Coworking is targeting to build a good coworking community in Szeged. They aim to move the home-based independent workers to their coworking space. There is not a big international location-independent community in Szeged, but there is an international community of students that will be targeted by Door Coworking. You don’t get to see many coworking spaces in a monastery, and the moment you step through those wooden doors, you are basically back in time, where in some parts you are traveling to 800 years ago! Their monthly price will be around 120 euros for fixed desks, and below 100 euros for flex desks. They are very flexible with the usage, so you may stop by for a couple of hours as well as rent your space for the whole year. I assumed our visit to Koho would be a short one, as we were arriving late. And indeed we kept it under 10 mins, but when we were back in the car, we got a call from Janos, one of the founders, saying how he regretfully was unable to meet us since he was out of the office. He asked if we could come back because he’d love to meet us. Of course we would! We were then back to Koho for a nice, inspiring and long conversation with Janos. Thank you Janos for the opportunity! I did not know what to expect from Pecs, but it was such a pleasant surprise when we decided to spend the night there. The city is simply beautiful. A short stroll through the old city makes you feel like you are traveling in time over a period of 1000 years or more, with remains and architecture from Ancient Roman, Holy Roman, Ottomans and Hungarian. Here are a few pictures for you to get a feeling. It absolutely deserves a much longer visit, and based on what we have seen for cost-of-living, it might very well be considered as an option for digital nomads. We set off early morning from Pecs to Gardony. This was supposed to be a 2-hour drive, but it ended up taking three. Possibly, it took this long due to my navigation skills, or lack thereof, and in part due to the roadworks across the hungarian country roads. Dénes Poór is the leader of Gardony coworking. He is a full-stack developer and a musician. 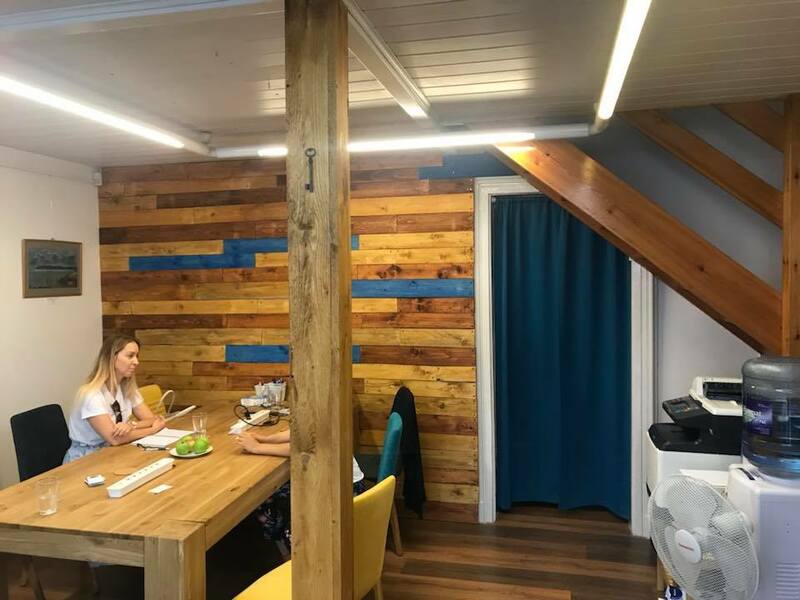 Gardony coworking space was a regular coworking space, but since it occurred to them that most of the community is involved in music, they are leveraging this interest and talent of the community on joint music and audio related projects. The Lake Velencei is simply a beautiful small lake, and the town is a great place to live, while being just an hour away from Budapest. It’s such a surprise that it’s not more widely discoveredby digital nomads! The internet is fast, it has beautiful nature with a great lake and beach. The cost of living is lower than in most parts of Europe. I personally found it comparable to Bulgaria. 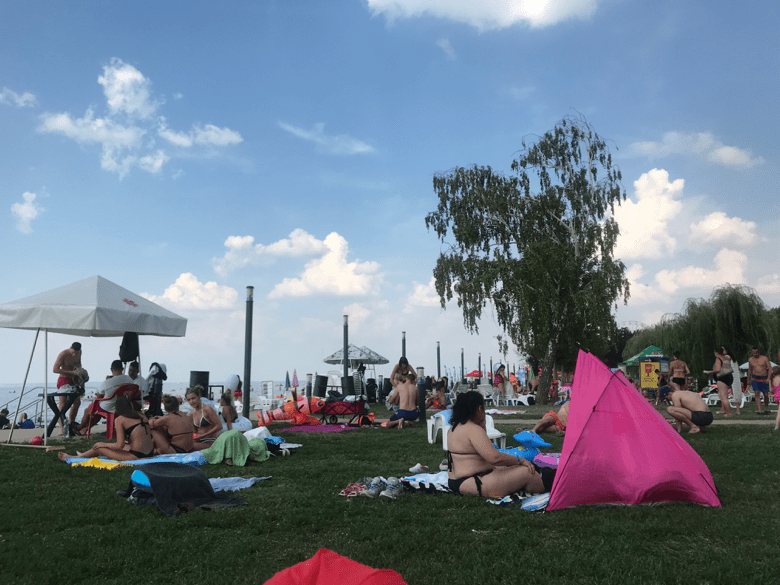 Denes is also doing a lot of social media activities to promote the Lake Velencei, and is running live interviews on facebook with the visitors in town. So it was indeed a nice surprise when he pulled out his mic and asked me if we could go live on Facebook – and we did. Watch it here. Here are a few pictures of the Lake as we’ve conveniently stopped for a quick break before heading to Szekesfehervar. Our visit to Konnektor in the town of Székesfehérvár was probably one of the most entertaining ones. First things first: the space is small, around 120-150 sqm, and is beautiful. Designed like a home office, with very comforting colors and office furniture. They opened 2 years ago and their story is very similar to many other coworking starts. The owners needed a space for themselves, and just opened a coworking space. They are programmers and designers. 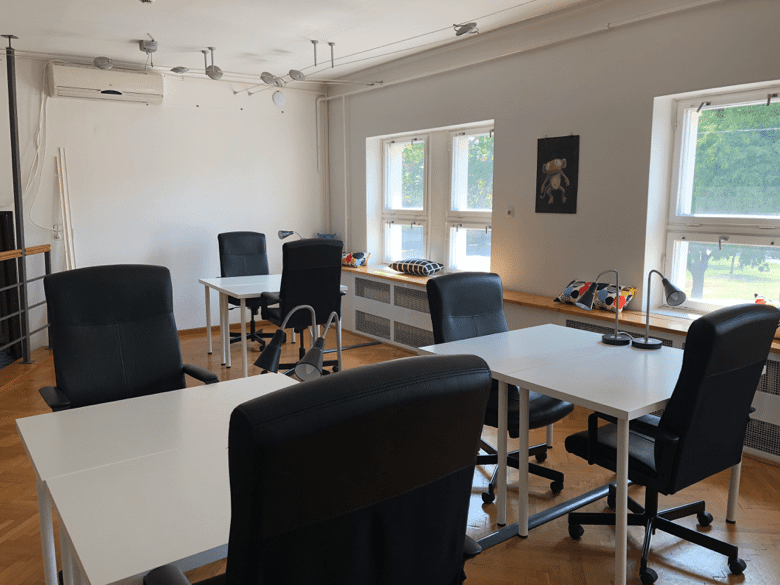 They are the only true coworking space in Székesfehérvár, though there is another shared office space offered by a bank. It’s usually the local people coming to Konnektor, but they are occasionally welcoming travelers from Budapest too. 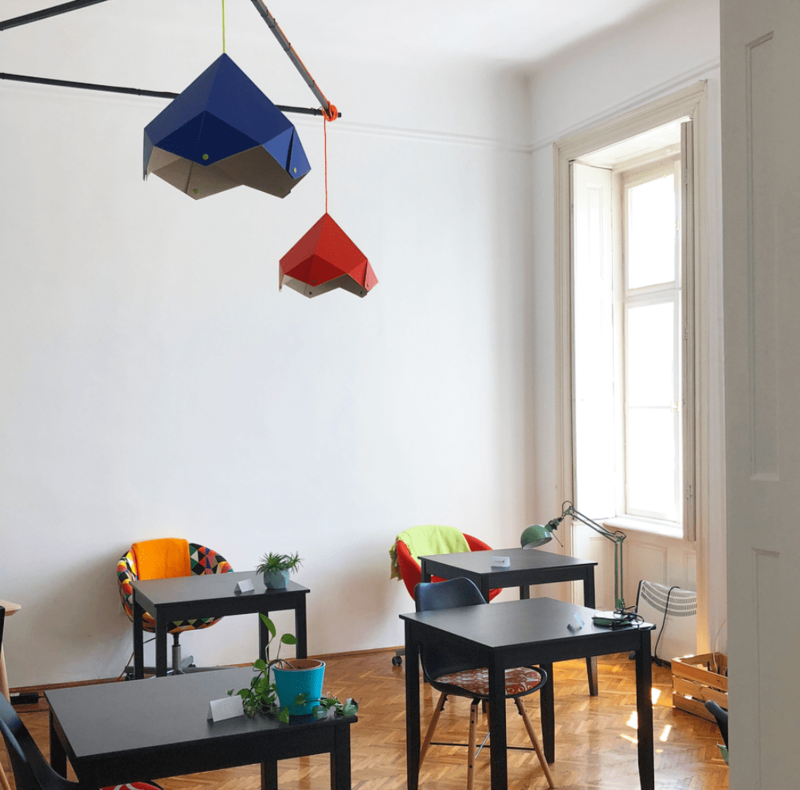 Overall, Konnektor is a comfortable coworking space in Székesfehérvár to work on your ideas or socialise with the entrepreneurs and freelancers. It offers a meeting room, 12 desks, comfortable sofas, and a kitchen with a coffee machine. They will celebrate their 2nd birthday in September. Our visit was so entertaining as we had a very fun and engaging video interview with Anita and Vanda. Stay tuned for that. It should be coming very soon! Gattyan Office is a full-service office center, also offering coworking areas with premium facilities. Unlike many other coworking spaces, they were already in office-space business, and have decided to leverage their existing space in a new direction and venture coworking. At Gattyan office, you have access to a full set of facilities including multimedia rooms, conference rooms, mailbox services, and a lounge service for visitors. In other words, pretty much most of the services that otherwise would be paid-services in other locations are included in the base coworking package. Home Office are our most recent sign-up on our Cowork7/24 platform, so we wanted to visit them but just could not align the schedules during our first try last week. However, today, i.e. one week later, we’ve had the chance to meet Peter and Orsolya. They are a very boutique coworking space, with only 6 desks to start with. The coworking space is actually complementing their real-estate business, and has all handmade wall-decoration. Small hint: you’ll make them happier if you bring an old key with you as they are collecting old keys! Offering an incubation program to help various university projects and start-ups with the knowledge, infrastructure, network of contacts and mentors of H13. serving as a meeting point for university communities around various programs, startup events and entrepreneurial networking events. Providing coworking area with more than 40 desks, offices, community areas and meeting rooms. 1) Budapest is a center of attraction among freelancers and digital nomads. While this may not be at the levels of its SEA peers yet, it’s higher than many other European cities. Demand will continue to create the supply. 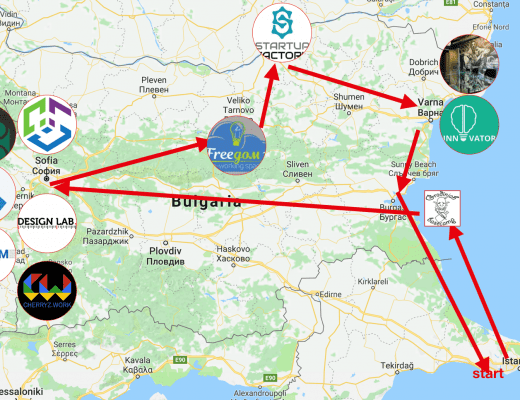 2) We’ve already heard some very big coworking spaces will open soon in Budapest, two of them being Puzl (the biggest coworking space in Sofia) and Millenaris. 3) The concept of “small community coworking spaces” is working in Budapest and beyond in Hungary. Many freelancers and startups will form small communities and open their unique and niche coworking spaces. 4) The real estate market in Budapest is very lively. Many real-estate companies offering private and serviced offices today, will follow the trend and offer coworking. This sounds like a no-brainer, and is happening in many other cities too, but I expect it will happen more in Budapest. They will, however, need to focus a lot on building communities otherwise the buildings will stay empty. Net-net, this was an amazing coworking spaces roadtrip. I regret I didn’t write about the Budapest coworking scene before, since I already visitedall of them. I will do that at the earliest convenience, making this report complete for Budapest. The same goes for those coworking spaces in the countryside. I’m dying to plan my trip to Debrecen, Eger, Nyíregyháza and Győr, to make this a complete guide for coworking spaces in Hungary. Are you looking for a coworking space to work from ? download our app here for iOS and here for Android.